My 2018 has the new lid design with the perimeter lip. Miscue on my part, it was the early 2018 that had the OLD filter box, and the later 2018's that have the NEW filter box. Thus, all 2019's have the NEW filter box. Thanks for the correction y'all. 136 pages of info and anecdotes and affirmations that NOTHING is different between 2015-2018 (and most 2019 models). New info that says a redesigned filter box became available in the last few months but is in extremely short supply. 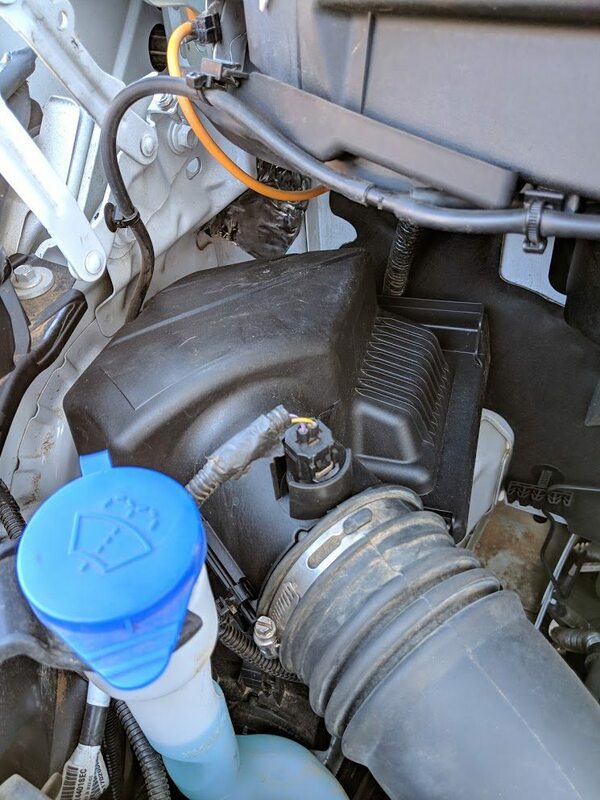 Bad design air filter box on 2015-2019 Transits of all engine varieties that lets water enter the intake system and soaks the air filter. Ford's plastic rain gutters do not solve the issue. 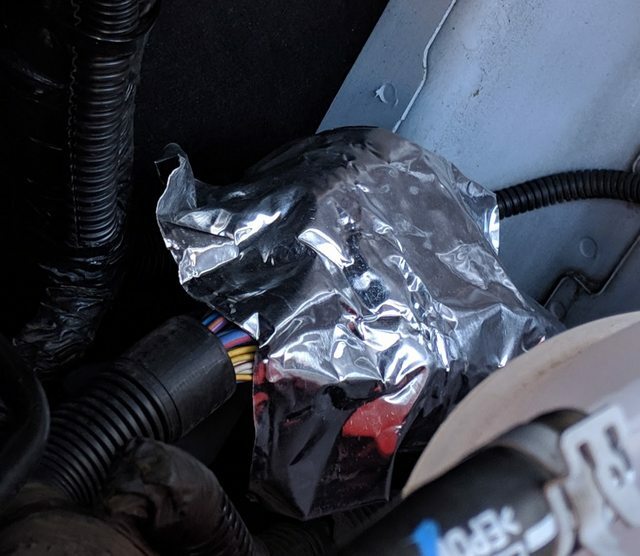 Sealing the air filter box seam with waterproof tape or adding a cover to prevent water from getting into the seam (TURD) is the only proven "fix". Recent 2019 re-design of air filter box solves the issue (as far as we know). This new design is used in current manufacturing of 2019 models. This new design is very hard to aquire for already purchased vehicles (at this time). THANK YOU for this. I am another person dealing with this issue. Ford has the air filter housing on backorder for me. They said they'd have it the 28th, then they said they'd have it today......now they say it's coming April 10th. I was not aware of this ongoing issue and I appreciate you saving me 130 pages of reading. (I did read 7). Looks like I will be asking ford more about this (though they hate hearing my insights) and making my own TURD. This van has to go 8,000 miles leaving the 31st. Sorry if buried somewhere in 137 pages of thread and no could not find anything in search. What about a K&N filter. It is oil based and rechargeable. Not an airbox improvement, but could help mitigate water moisture coming through? K&N filters are crap. They let silicates in like crazy. You can do your own engine oil analysis at Blackstone if you don’t believe me. The oil from the filter also ruins mass airflow sensors. Budsky and surly Bill like this. Well, I guess we could tape the K&N to the opening in the TURD. Got my van back from the shop the other day. Have been meaning to test to see if water still gets behind the gutter from the windshield and if so where it comes out so I can correct it but I've gotten home every day after dark and I can't be arsed to do it in the morning before work while it's still in the 30's outside! In the meantime here are some pictures of the new airbox and the tape they put on the wiring harness and the frame. I think I WILL end up putting a TURDette over the wiring harness like they have on the one on top of the engine. It can't hurt. The main event, the new airbox! These new ones have ribs on the drivers side of the airbox, it should be VERY easy to tell them apart from the old style. The tape on the wiring harness on the drivers side of the engine bay tucked in towards the aft end. Last edited by Mitch; 03-26-2019 at 11:00:PM. 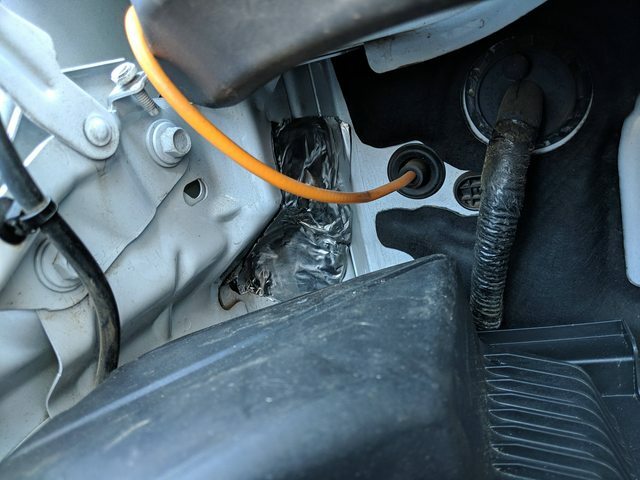 Did you notice the two mega-plugs to the ECU underneath the so called repair are tilted up towards the gutter so as to maximize water entry? FINALLY got my new air box lid in today- it has been installed and the TURD is in the trash! 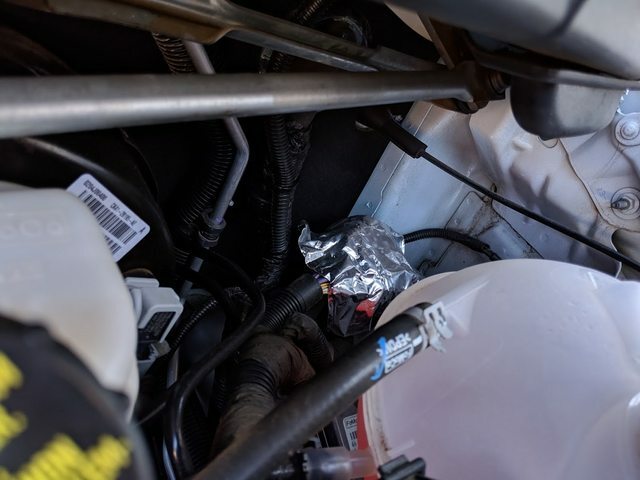 Be careful on the 3.5 removing the airbox temp sensor- it has a small tab that must be gently lifted a little to get it over the steep side of a molded in locking ramp on the airbox port. Once twisted to the released position it takes quite a tug to pull out since it has an O-ring for sealing. I checked my air filter yesterday (before some servicing) and it was perfectly dry. My van (2016 with old style air box) has never been parked inside and in 3 years there has been no water infiltration. Ford's lid does need to be closed very carefully though.